▲ A poster of "Interstellar"
Donald: Shake a leg. * Murph, get your move on. Cooper: One o’clock today, you and me….in the barn, Herbicide Resistance 101, check? 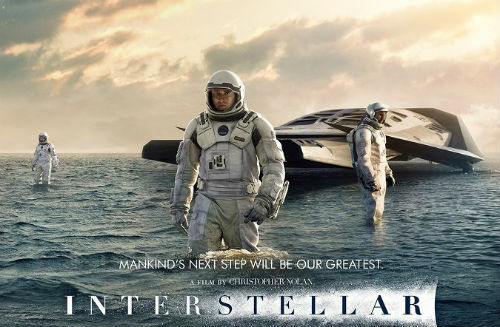 *Interstellar is a movie about astronauts who do their best to save humankind. The main characters Cooper and Murphy show deep familial love and it moves many viewers in the world. It is 169 minutes long and delves into abstruse scientific concepts but cleared the 10 million viewer mark at the Korean box office in 2014, and also was the big winner at the 2015 Jameson Empire Awards in London on March 29, 2015.